What's the Deal with Cryptocurrency and Taxes in New Zealand? BitPrime is often asked about cryptocurrency and taxes in New Zealand. Are cryptocurrency profits taxable? 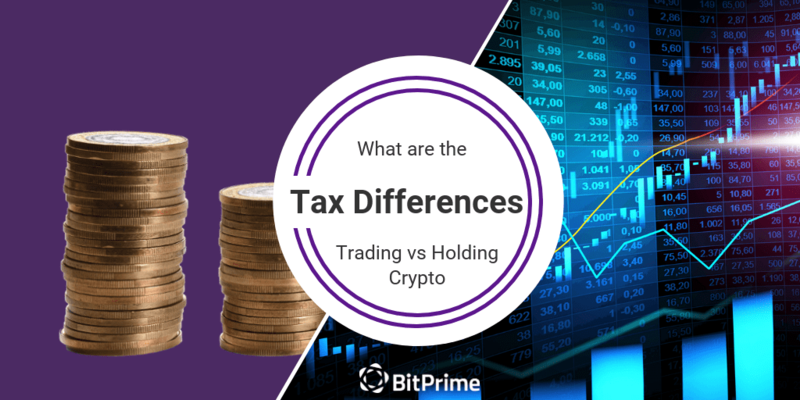 This article explores tax differences between those who actively trade cryptocurrency (in business) and those who buy to hold (holders). Profits from both activities (trading and holding) will generally be taxable. However, each activity has different accounting and tax treatment. For example, traders who purchased crypto at peak prices (October to December 2017), may be able to claim a tax-deduction for unrealised losses using closing stock accounting treatment. This may reduce profitability and subsequently any tax to pay. For background cryptocurrency tax reading, IRD have published guidelines outlining that profits from cryptocurrency usually are taxable income. Additionally, AgBiz Accountants published in March 2018, our end of year crypto tax guide that describes the underlying tax and accounting principles that apply to cryptocurrency (along with many examples). Traders are considered to be in business - the business of trading cryptocurrency. For traders, trading stock concessions apply to cryptocurrency; it is recorded at the lower of cost or net realisable value (NRV). NRV for cryptocurrency can be measured as the market value from a reputable exchange. The ability to record closing stock (coins held at year end) at the lower of cost (what it was purchased for), and NRV (market value), allows a trader to realise any unrealised losses at the end of the financial year. For example, John, a trader, purchases Bitcoin in December 2017. He actively trades cryptocurrency. At 31 March 2018, he holds 1 Bitcoin, and his weighted average cost price is $18,000. However, the NRV (or market value) is $9,500. By recording the trading stock at the lower of cost or NRV, allows John to realise an $8,500 tax-deductible unrealised loss. Like other businesses, traders are also allowed to claim a tax deduction for expenses incurred in carrying on a business. Tax-deductible expenses may include exchange fees, trading view subscriptions, educational or training costs, telegram groups, telephone or internet charges. It also may consist of expenses such as home office expenses (the portion of your home you use for a business activity) and mileage or motor vehicle expenditure to carry on a business (for example travel to a cryptocurrency event or meet-up). For holders, cryptocurrency is recorded as property on revenue account. This means that cryptocurrency is recorded at its cost price. A holder is not able to write down the closing value of the cryptocurrency to market value because they are not in business. As no business is carried on, only expenses directly related to earning income are tax-deductible (for example, exchange fees). What is the Difference Between a Trader and a Holder? There is no one size fits all approach that distinguishes traders from holders. Subsequently, it depends on the nature of the activity and the intention of the taxpayer. BitPrime also has an index of Cryptocurrency Regulation and Tax Reports in our Knowledge Base. This index includes links to information provided by the FMA, Inland Revenue, and the Reserve Bank of NZ. To find out more about tax implications feel free to contact AgBiz Accountants. Based in the Waikato since early 2016, Time Doyle, Jane Evans, and the rest of the team work with clients New Zealand wide. Well done! And for all beginners out there! I like that industry works dope and hope more people would trust cryptocurrency in future. BitPrime aims to help make it easier for everyone, especially beginners, to buy crypto.